I am really interested in correspondence and also the relevance of personal postal correspondence, what role it now plays, when nowadays most written communication is in the form of email. 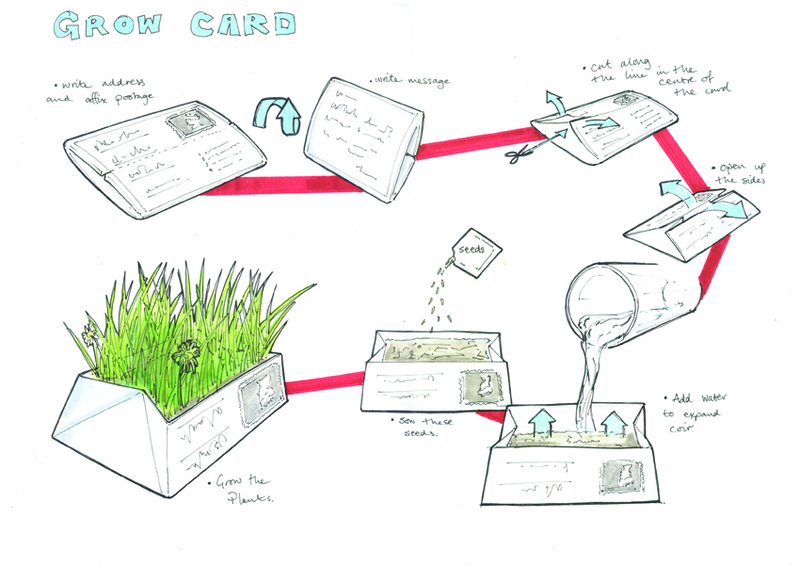 The Grow Card is a card that when received, is opened up to transform in to a water-tight plant pot that contains soil and seeds to grow flowers and herbs, all the recipient needs to do is add water. I noticed that when cards are received they are often displayed, the grow card plays on this interaction but gives it more longevity as it will always be displayed whilst the plant is growing. The longer it is displayed the more likely the recipient is to respond to the sender in some way.